This video shows the 60tpd palm kernel oil solvent extraction plant project in Ondo, Nigeria. Palm kernel oil solvent extraction plant is a new method to extract palm kernel oil from palm kernel, which is to use n-hexan to solvent the palm kernel oil from palm kernel cakes, then evaporate the solvent from mixed oil, finally get crude palm kernel oil. The biggest advantage of palm kernel oil solvent extraction plant is high oil yield. In other words, it has low oil residual, less than 1%. 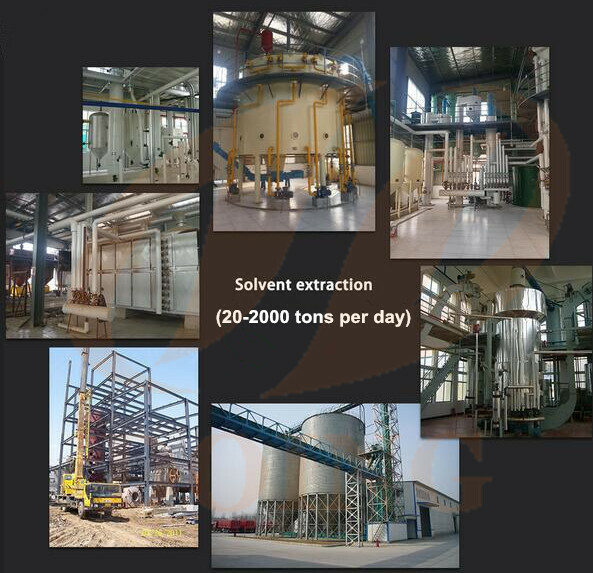 Generally speaking, palm kernel oil solvent extraction plant is suitable for large scale palm kernel oil mill plant, about more than 30 tons per day. Because before palm kernel oil solvent extraction plant, the palm kernel should be pretreated and prepressed. So the cost you build such a palm kernel oil mill plant is a little high, but the palm kernel oil you got everyday is more, too. 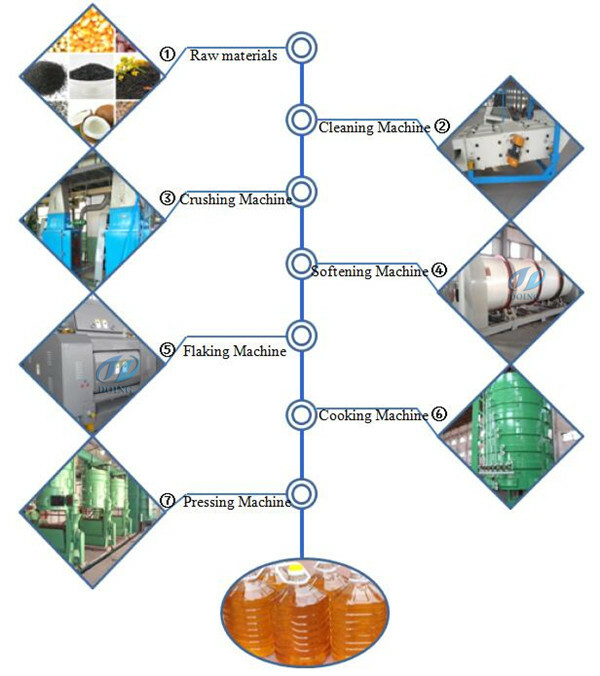 If you want to use solvent extraction method to produce palm kernel oil, the complete palm kernel oil mill plant includes: palm kernel pretreatment equipment, palm kernel oil prepressing machine, palm kernel oil solvent extraction plant and palm kernel oil refining plant (if you want to get refined palm kernel oil). The palm kernel contains more than 50% oil. So the prepressing machine is necessary. And the pretreatment section can greatly increase the palm kernel oil solvent extraction efficiency and reduce production cost. Cleaning: Magnetic separator is used to remove metal debris. 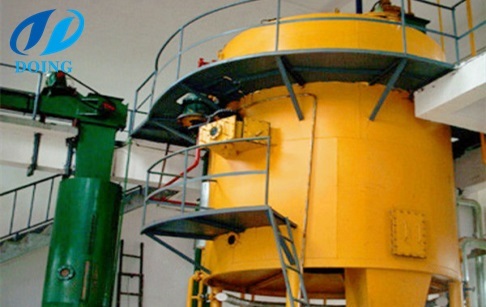 Vibrating screen is used to remove stones and sand. Crushing: To break the palm kernels into small pieces, which can adjust the palm kernel to the best state before pressing. Flaking: To press the palm kernel fragments into flakes (0.25 to 0.4 mm thick), so that you can increase oil yield. Cooking: To adjust the moisture content of the palm kernel flakers to optimum level through steam conditioning. Besides, cooking process can also help reduce viscosity of oil, rupturing cell walls, coagulating the protein and facilitating separation of oil from protein materials. In the palm kernel oil pressing process, the meals are generally cooked to a moisture content of 3 % at 104-110°C. Pressing: To prepress palm kernel oil, it is an important step before deeply palm oil extraction. Clarification: After pressing,the oil contains 45-55% water, sludge and other dross. Separate oil and sludge and then purify oil to get more clean oil. Palm kernel solvent extraction plant is used to extract palm kernel oil from palm kernel cake.In this part of palm kernel oil extraction plant called palm kernel oil solvent extraction, there is only less 1% oil content in the meal. Our palm kernel oil refining machine can process various kinds of crude oil. Palm kernel oil refining is a step by step process.Our palm kernel oil refining machine includes a series of refining processes which aim to remove phospholipids, FFA, pigment, gums, waxes, off-flavor and other impurities from crude edible oil. Henan Doing Mechanical Equipment Co.,Ltd is one of the leading manufacturers of oil processing equipment in China, we mainly provides palm oil&palm kernel oil extraction plant and other oil seeds pressing machine.Our company service includes：technology design, installation and commissioning, technical training, reclocation of old plant, technology reform and turnkey project. 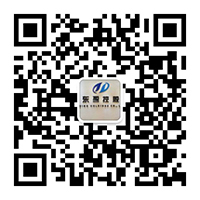 If you have any requirements or questions, pls don't hesitate to contact us. 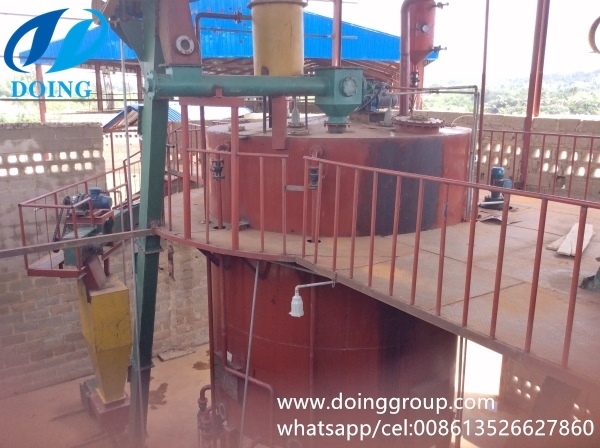 If you wanna to get more details about Palm kernel oil solvent extraction plant you can send E-mail to market@doinggroup.com. You can consult our professional engineer and specialized sales team with leave a message in below form.We will contact with you ASAP.You also can visit our factory in Henan,China.Get Detailed address.